Shesmovedon was the second single released from Porcupine Tree's Lightbulb Sun album. It contains an edited version of Shesmovedon, which means about a minute and a half have been cut from the original song. It also contains two unreleased tracks: Cure for Optimism and Untitled. Both later appeared on Recordings in 2001. 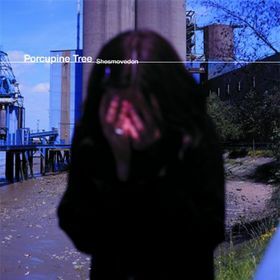 To further confuse things, Porcupine Tree also released a limited edition version (only 2,000 copies), which featured a different track listing containing the full album version of Shesmovedon and a demo version of Russia on Ice. And finally, to fully numb your mind, a 7-inch vinyl version was released which featured the edited version of Shesmovedon on side A and a song called Novak on side B. This vinyl version was only issued in a quantity of 1,000 copies. I only have the regular release, so I feel primarily committed to only making comments about that release, but my comments probably apply to all of them. Like other singles, the full album version is usually the preferred version one should listen to. That is the case with this release. At the time of this release, the unreleased additions were beneficial for Porcupine Tree fans, but now they're available on the 2001 release of Recordings. So there really isn't any point in looking for this single, except for collectors and completionists. I don't believe the demo version of Russia on Ice is available anywhere, but seeing that it's a demo version (and having heard demo versions from countless groups), it's probably only of interest to fans and collectors. The vinyl version is only for collectors and completionists. I don't know what Novak is, but I don't see it available anywhere else (yet) in the Porcupine Tree discography. Primarily for collectors and fans. Others should stick with getting Lightbulb Sun or Recordings as they are more readily available. Two stars.